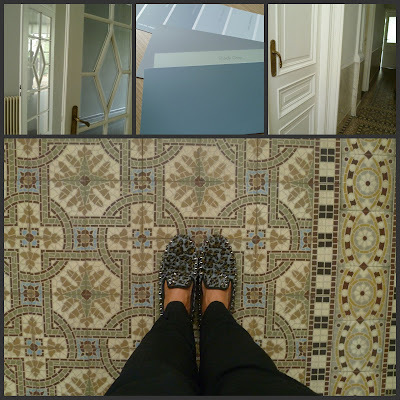 As promised, a little collage and first impression of the hall and our future living room. change them. It's the first thing you notice when you come through our door. The 1st door on your left gives a little hint that this is not a recently built house. My intention is to look it up ; maybe a visit to the city archives will learn us more about that. Today we met Frank, a housepainter who was highly recommended to us by Henny Waalwijk. A very nice man ; I'll try and catch his picture once he starts painting. Our hope is he can start soon, now the house is still empty and it's way easier to work with no furniture standing in his way. I can see why you fell in love..the house is fabulous. 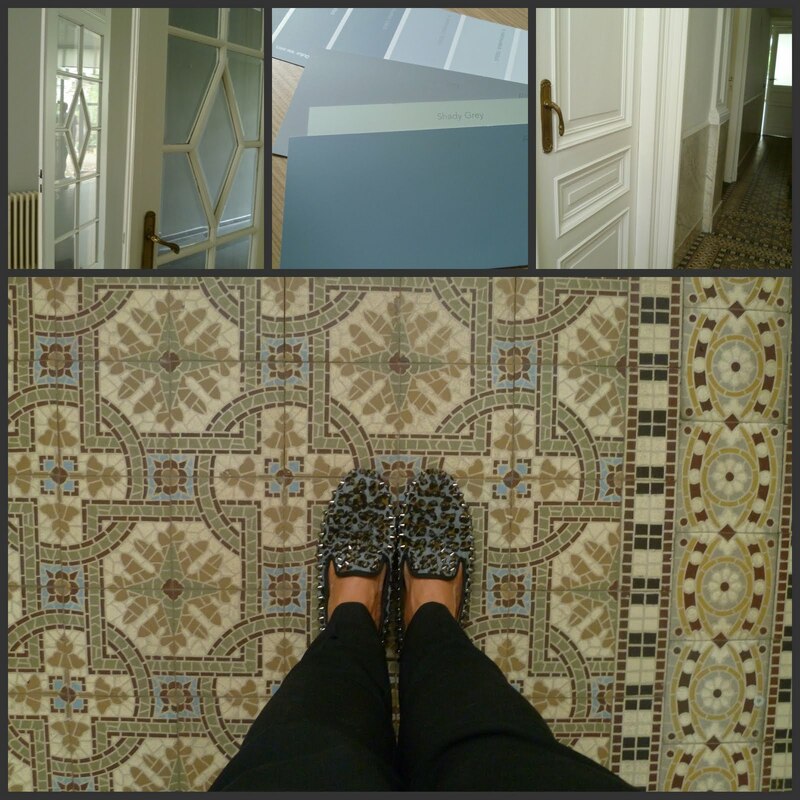 I can't wait to see the changes you make and I know when you add your touch your new home will be gorgeous!